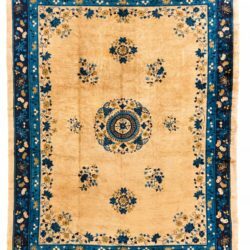 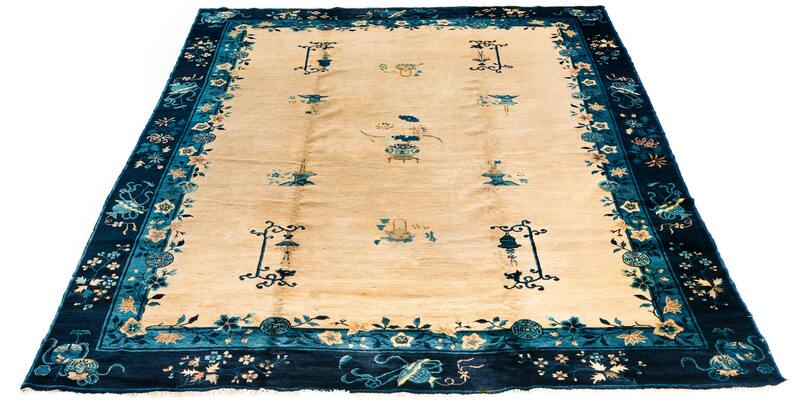 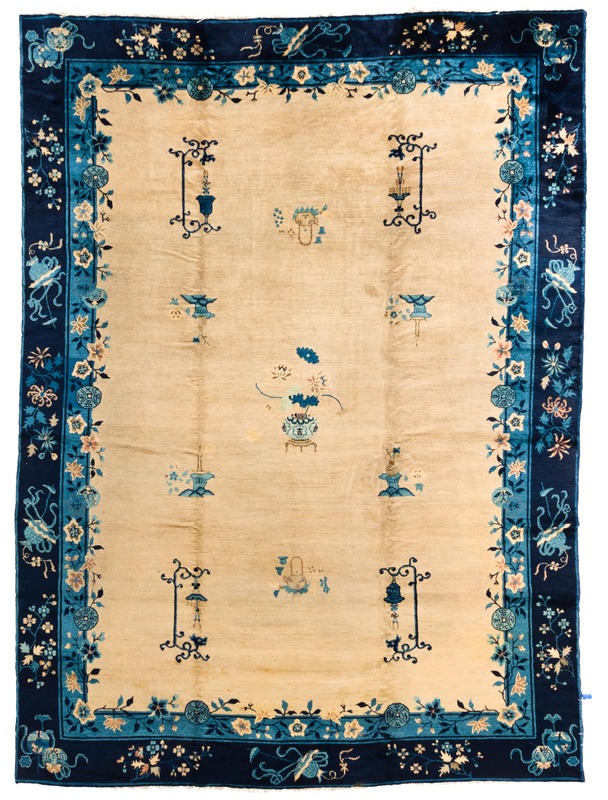 Chinese Rugs / Antique Chinese 7'10"×10'7"
The room size antique was woven in China towards the end of the 19th century. 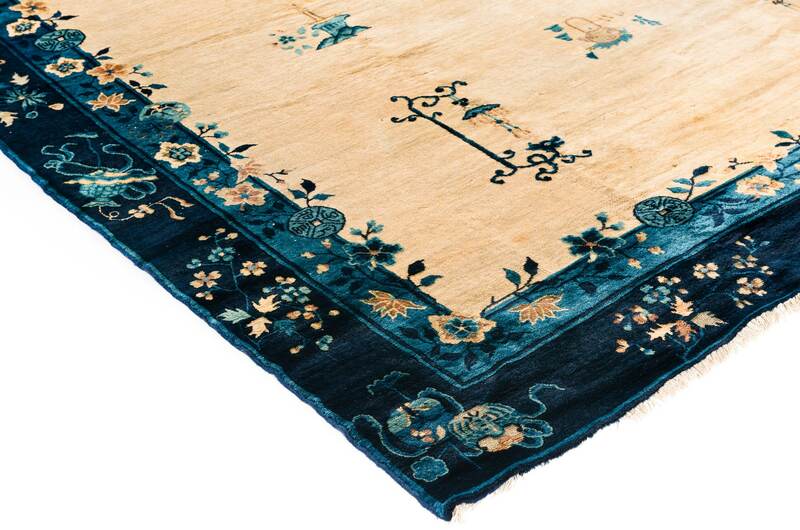 The design is traditionally Chinese in origin, with an open ivory field populated by decorative images of vases, forals and landscapes. 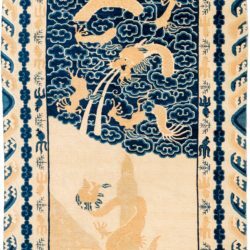 The border in blue and navy features disconnected depictions of Chinese symbols, flowers and vines.